What is estudio teddy cruz? Teddy Cruz founded his San Diego-based practice, estudio teddy cruz, in 1993. His work dwells at the border between San Diego and Tijuana, inspiring a practice and pedagogy that emerges out of the particularities of this bicultural territory and the integration of theoretical research and design production. Teddy Cruz has spent a long time strolling through Mexico’s bustling border towns in search of inspiration. Where others saw poverty and decay, he saw the seeds of a vibrant social and architectural model, one that could be harnessed to invigorate numbingly uniform suburban communities just across the border. He noticed how quickly these developments were retrofitted by the tenants. 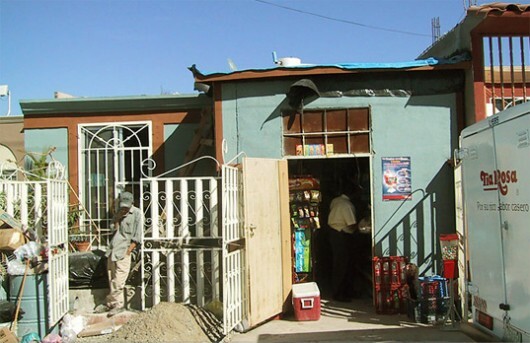 Informal businesses like mechanics’ shops and taco stands would quickly sprout up on the front lawns and between the houses, transforming them into highly layered spaces. Cruz built a reputation by applying those lessons to the design of residential developments for Latino immigrants in suburban San Diego, enveloping simple housing units in a matrix of communal spaces. Although Teddy Cruz is not the only architect straddling the line between developed and developing areas, his perspective is unique: the observations he makes don’t send him running to bring Northern solutions to the South. On the contrary, the shantytowns of Tijuana inspire possibility for creating compact, densely constructed homes that reflect Latin American traditions of community interaction, and multigenerational households. Teddy Cruz believes that the way settlements like Tijuana’s evolve organically, based upon need, migration and available resources, presents a valuable lesson in the possibility for democratic approaches to development. The border between San Diego, California and Tijuana, Mexico (US and Latin America), brings together two radically different cultures, societies and economies. By zooming into the particularities of this bicultural territory, he is able to recontextualize global processes that search to produce more hybrid and flexible landscapes. The “Corridors on Imperial” in San Diego, a plan prepared for addressing urban sprawl with a mixed-use project that integrates housing, jobs, and the community. 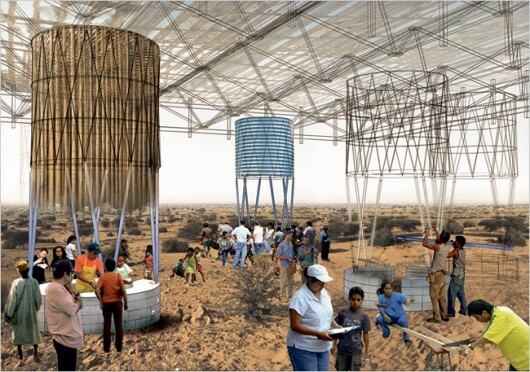 Cruz has received two American Institute of Architects awards for this effort. The “Casa Familiar” affordable housing in city of San Ysidro that involves transforming a church into a community and residential center along with a public plaza and open air Mercado. “This project is showing that you can raise density without compromising privacy and open space, though the result may be semi-private and semi-public areas,” Cruz says. 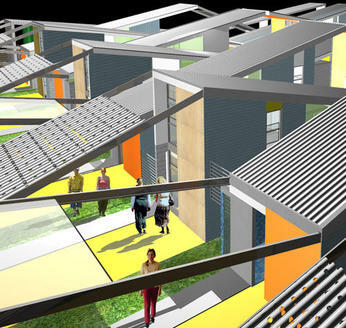 His housing project “Living Rooms at the Border,” estudio teddy cruz weaves 12 affordable housing units across a concrete framework. The open space underneath will function as a marketplace, among other uses.